The Unruh Civil Rights Act prohibits a wide range of discrimination in public accommodations, including a prohibition against discriminating against an individual based upon their disability status. Following its initial enactment, the Unruh Civil Rights Act (“Unruh”) was expanded to incorporate the Americans with Disabilities Act (“ADA”), which also prohibits discrimination on the basis of disability in the enjoyment of public accommodations. Unruh does not expressly address service dogs, but the ADA does, and it defines a service animal to mean “any dog that is individually trained to do work for the benefit of an individual with a disability, including a physical, sensory, psychiatric, intellectual or other mental disability.” Further, the statute requires that the animal have completed training. The California Court of Appeal noted in a 2017 case that the language of the statute used the word “trained” and read it as to exclude animals that are in the process of being trained, or that have not yet completed training, from inclusion as a service animal under the Americans with Disabilities Act. Surprisingly, the Department of Justice (“DOJ”) has also weighed in on the characterization of service animals who have been trained or are currently in training. The DOJ published a series of responses to frequently asked questions in 2015, and interpreted the ADA as to require that a dog be already trained before it can be taken into public places. The California Court of Appeal relied upon the statutory language of Unruh and the ADA, along with the guidance from the DOJ to arrive at its decision that the prohibition against arbitrary discrimination in public accommodations applies to trained service dogs, but not service dogs in training. The syntactic distinction may seem minor, but the difference in a “trained” and “in-training” service animal has significant societal and legal implications. First, the training of service animals, like any sort of training, requires experience in the sort of locations and situations in which it will be utilized in the future. This interpretation will impose severe limitations on the availability of locations in which service animals may receive beneficial training, and could result in the sort of consequences the statute was enacted to protect. Secondly, this ruling will also likely impact the number of service animals that will be available to disabled persons in the future, as the ruling imposes limitations on the viability of getting the service animals trained properly and in a timely manner. However, the Court of Appeal’s analysis did not end there. The Disabled Persons Act (“DPA”) expressly addresses service animals and, unlike the ADA, extends the protections against arbitrary discrimination to service animals that are being trained. That extension of protection is not without limitation, however, as it requires that the animal’s presence in the place of public accommodation must be “for the purpose of furthering their training.” Further, the DPA recognizes only three categories of people who are permitted to bring a service animal which is in the process of being trained into an establishment for the purpose of furthering that training: (1) the disabled person; (2) persons licensed to train service animals; and (3) persons “authorized” to train services animals. Because the term “authorized” has various meanings, the court analyzed how to best define the term at length, and concluded that “persons authorized to train” service animals means “any person who is credentialed to do so by virtue of their education or experience. Yet another dog attack in Georgia last week (August 1) resulted in the death of a 20-month old baby in Athens, and the subsequent arrest of the grandmother, Sandra Adams, and dog owner on several felony charges. The grandmother was allegedly in the backyard with the child when the two pit bulls came out of the back door and knocked the grandmother to the ground before mauling the small child. According to reports from the Georgia Bureau of Investigation, Adams had been cited on multiple occasions about maintaining “disorderly animals.” Although more facts would be necessary for making any determination regarding Adams’ criminal culpability for the incident, her previous citations for maintaining disorderly animals would likely be sufficient to subject her to civil liability. In Georgia, a dog owner is liable for harm caused by the animal where the owner had knowledge of the animal’s propensity for violence. Such knowledge can be demonstrated by a variety of incidents, including the existence of a previous attack or even an unprovoked, attempted attack. For more information on updated Georgia law and dog attacks, please visit my blog. 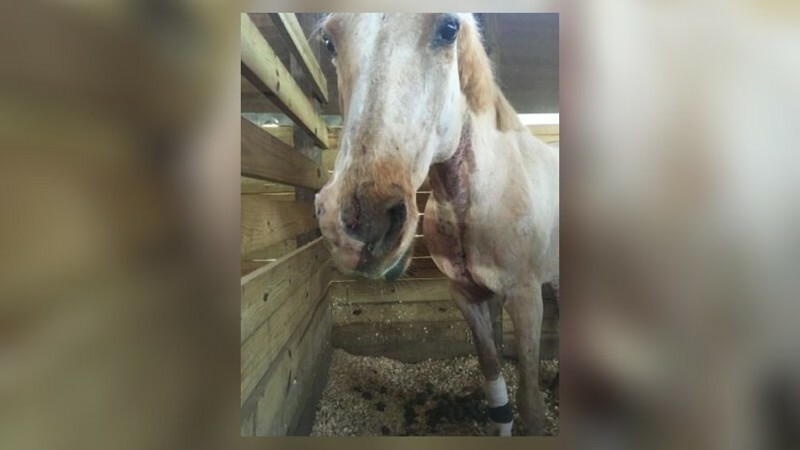 While the specific circumstances surrounding the citations for maintaining disorderly animals remains unclear, it is unlikely that the citations were issued absent some event involving a third party complaining about the animals’ behavior. Assuming that the citations involved some demonstration of violent behavior, in the eyes of the law Adams would have notice of the animals’ propensity for violence sufficient to give rise to civil liability for the animals’ actions. Additionally, because Adams was acting in the capacity of a babysitter when the child was attacked, she owed a heightened duty of care to protect the child from harm. This heightened duty of care would increase the parents’ likelihood of prevailing against the babysitter in a civil action. However, the familial relationship between the child and the babysitter-grandmother makes it difficult to hypothesize whether the parents will seek to sue the grandmother in civil court, especially considering the fact that the grandmother is facing criminal charges for 2nd degree murder and involuntary manslaughter. Yet another incident in the cabin of an aircraft has resulted in severe injuries and potentially permanent disfigurement to an unsuspecting passenger. But, unlike another highly publicized incident where a man was injured while being forcibly removed, Mr. Marlin Jackson suffered punctures to the lip and gum, and was missing large chunks of flesh from his face following a brutal attack by an emotional support dog accompanying a Marine veteran. The dog, a 4-year old, 50-pound Labrador retriever/pointer mix was permitted by Delta to sit on the Marine’s lap in the middle seat, next to Mr. Jackson, who was seated next to the window. The dog allegedly began growling as soon as Mr. Jackson took his seat, and before the plane could take off, the dog lunged at Mr. Jackson, pinning him against the window. According to reports, the dog was temporarily restrained but wrestled free from its owners control again, initiating a second wave of attack. The owner and the animal were then moved to another flight, where the animal was secured in a crate. This incident raises questions about several sensitive issues. Following the extreme public backlash at United following the forced removal of a passenger, the major airlines are certainly going to be hesitant to take action that could result in similar backlash, and separating a Marine veteran from his service dog could certainly yield such a result. However, airlines have a duty to balance an over-abundance of caution with regard to public appearance with reasonable efforts to ensure passenger safety. Mr. Jackson, as an invitee (one who enters for a purpose relating to the owner’s interests or activities) was owed a duty by Delta to exercise reasonable care to prevent injuries caused by activities conducted on its property. In determining the reasonableness of the actions, courts will measure the actions against the “reasonably prudent person” under the same or similar circumstances. In this case, the “reasonably prudent person” will be other airlines, and applicable policies or procedures in the airline industry. Delta’s own policy on service animals states, “with larger service animals . . . we may need to re-accommodate you if the animal encroaches on other passengers or extends into aisles . . .” What constitutes a larger service animal remains unclear, but it is hard to imagine what animals wouldn’t constitute a large service animal if a 50-pound Labrador mix does not. Moreover, most airline cabins are hardly spacious enough to fit a small carry-on item under the seat, much less a 50-pound animal in someone’s lap. Thus, it is likely that the presence of the animal alone was sufficient to constitute an encroachment on the passengers on either side of the Marine veteran. This incident begs the question of if the discretion granted to the airline crew is too broad, and if the crew has received proper training for making such determinations. The Delta policies are ambiguous as to what constitutes an encroachment or whether a passenger must complain about an encroachment before the animal is removed, leaving the airline crew with the discretion to make the determinations for each case individually. The theories of Delta’s liability for Mr. Jackson’s injuries are numerous, ranging from premises liability to negligence. In response to several highly-publicized dog attacks this year, including one that killed a 6-year old kindergartener as he walked to the bus stop, the Atlanta City Council voted to unanimously amend the city’s animal control measures related to dangerous or vicious dogs within the city. 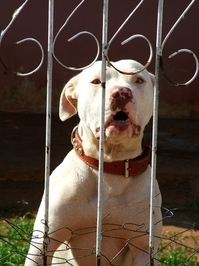 The amendment establishes the public safety and administrative procedures for the identification of dangerous and vicious dogs, the policy for subsequently registering dogs that are reported and determined to be dangerous or vicious, and imposes several statutory duties on the owners of such dogs. The Code of Ordinances for Atlanta can be found here. The first major change relates to the definition of a “dangerous dog.” §18-115 previously defined a “dangerous dog” as “any dog that according to the records of any appropriate authority: (1) inflicts a severe injury on a human without provocation on public or private property; or (2) aggressively bites, attacks, or endangers the safety of humans without provocation after the dog has been classified as a potentially dangerous dog and after the owner has been notified of such classification.” Under the old ordinance, a dog was only defined as dangerous under the statute if the “appropriate authority” had record of the dog causing severe injury to a human or the dog had been previously designated as potentially dangerous, and the owner was aware of the designation. But, under the amended ordinance a dog is a “dangerous dog” if (1) its teeth cause a “substantial puncture” of a person’s skin without serious injury, (2) it aggressively attacks in a manner that causes a person to reasonably believe the dog posed an imminent threat of serious injury, even where no such injury occurs, or (3) while off the owner’s property, kills or seriously injures a pet animal. 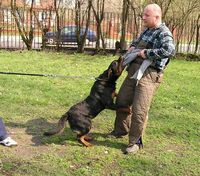 By broadening the definition of a “dangerous” or “vicious” dog, the amendment reduces the burden on victims of dog attacks to establish the owner’s duty to the victim. In a negligence claim, the victim (plaintiff) must prove that the owner (defendant) owed a duty to the plaintiff, breached the duty owed, and the breach caused the plaintiff’s injuries. Under the negligence per se legal doctrine, a statute can establish a standard of conduct for breach of a duty where the victim is a member of the class the ordinance is designed to protect, and the injury caused by the owner’s conduct is the type of act the ordinance was meant to protect. Importantly, this doctrine creates a presumption that the owner owed a duty to the victim and breached that duty, which drastically increases a victim’s chances of recovering for her injuries. Moreover, because the amended ordinance designates a dog as dangerous if a person “reasonably believes” the dog poses an imminent threat of serious injury, a victim could establish a per se duty and breach of duty without the occurrence of any previous attack. The American pit bull terrier, better known as the pit bull, has an extensive background of unprovoked attacks on animals and humans alike. Some are deadly. Unfortunately, that was the case yesterday when a pit bull (and a border collie that is missing) attacked two children on Cerro Street in Atlanta as the children were walking unattended to school. There were actually three children but only two were attacked. The young boy who passed away from his injuries was Logan Braatz (6) and the injured girl was Syari Sanders. The news story regarding the attack seemed to imply that the boy was beyond help at the scene. The young girl is still treating at the hospital and was listed in stable condition. Fulton County Animal Control arrived at the scene as did the police. The story implies that one dog was shot by officers and that one dog is still missing. 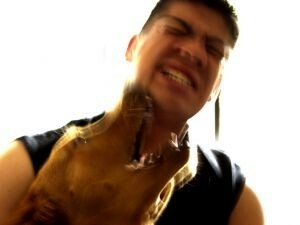 Typically, a pit bull will attack at the most vulnerable part of the body, be it human or dog, and that is the neck. The strength and pounds per square inch (PSI) of a pit bull bite is off the charts. Once a pit bull has attached, it is very difficult to get the dog to release. In some attacks, folks have positioned a wrapped up thick bath towel and moved it in position of the pit’s mouth to replace the animal or human that is being attacked.